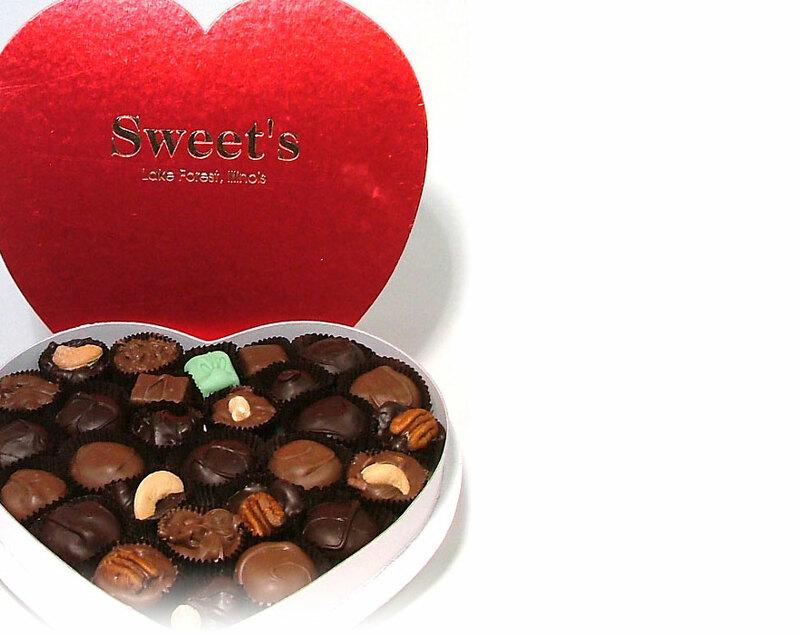 Sweet's Solid Chocolate Hearts: Sweet's offers chocolates, nuts, English toffee, caramel and chocolate apples, peanut brittle, caramel nut corn, pretzels, ladybugs, turtles and more – in Lake Forest near Chicago. 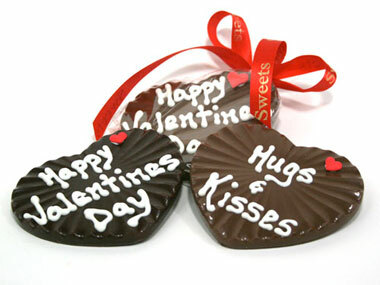 Sweet’s Kitchen prides itself in making the finest chocolates on premises everyday, insuring freshness. No shortcuts are taken and only the freshest ingredients are used. Our recipes have been fine tuned over the years to deliver that mouthwatering taste our customers have come to expect. Since we control the manufacturing, packaging and shipping you can be assured that you will receive a product that looks and tastes great. © 2019 Sweet's Chocolates. All rights reserved.